There’s an exciting call for everyone out there, who is struggling for a groundbreaking opportunity on TV screens. The cameras in showbiz are ready to embrace your talent in Sleepy Hollow, Season 4. Read this casting notice carefully to understand the requirements and become a part of the show. Here we go! 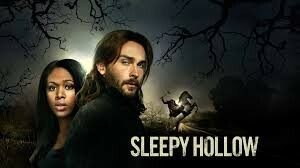 The casting directors of Sleepy Hollow, which is aired on Fox, are looking for talented individuals to cast as 19th century people in a flashback scene. The directors will not take live auditions. Just send your email profiles, confirm your availability for mandatory fittings tests and filming dates, and voila! The death of Nicole Beharie’s character compiled the season 3 with surprises and expectations down the drain. But just recently, the directors of Sleepy Hollow have announced Season 4. The screenwriting work has almost been done and the casting directors are all thrilled to meet new talent from Atlanta. The directors have not revealed anything about the fourth season, thus they have left the excitement of viewers pumped up. However, they have confirmed the return of primary cast including Lance Gross, Jessica Camacho, Lyndie Greenwood, and Tom Mison. The casting directors of Sleepy Hallow Season 4 are looking for Caucasian men and women to work in the flashback scenes. These flashback scenes will date back to 19th century therefore, all candidates must be willing to undergo haircuts or change their looks. The selected candidates will receive a standard payment of $64 per eight working hours. For next eight working hours, the payment will be reduced to half. However, the candidates will not be paid for fittings test. All the actors should be willing to change their hairstyles and look according to the requirements of scenes. The casting directors are looking for Caucasian men and women only. There are not any specific details about the sizes except that the men should have 28–34 waist and the coat size should be 36–40. The female candidates should have 24–28 waist and the bust size should be 30–34. If you are willing to submit for these roles then attach at least three recent photos with the email profiles. Please make sure to attach the recent photos only. The photos should be taken in bright light only. Write THEATRE in the subject line. Write your full name, age, address, contact number, height, weight, sizes, and availability for the fittings test date and shooting date and send the email to sleepy@centralcasting.com. Only Atlanta locals are encouraged to apply.